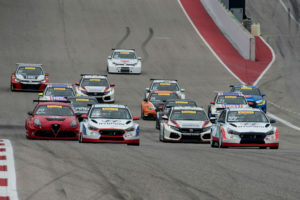 After winning the inaugural TCR division race in the Pirelli World Challenge last month at Circuit of The Americas, Michael Lewis hopes to repeat this weekend at VIRginia International Raceway. 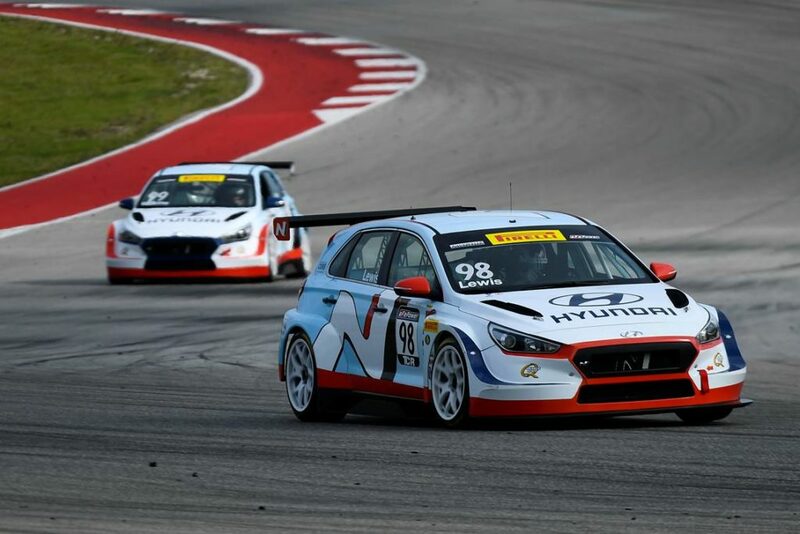 Alton, Virginia — After finishing first and second, respectively, at the initial two rounds of the inaugural Pirelli World Challenge (PWC) TCR season at Circuit of The Americas (COTA) in Austin, Texas, Michael Lewis and Bryan Herta Autosport bring their Hyundai i30 N TCR race cars to VIRginia International Raceway this weekend for a repeat of their podium performance last month. 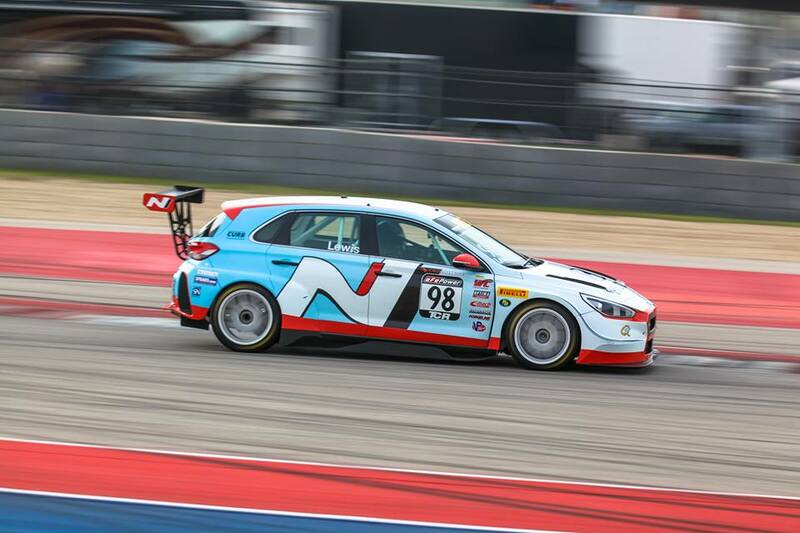 Bryan Herta Autosport’s Hyundai i30 N TCR race cars claimed two 1-2 finishes in the series’ first two races with drivers Michael Lewis (No.98) and Mark Wilkins (No. 99). Michael and his teammate Mark Wilkins will challenge the TCR field on the 3.27-mile road course in Alton, Virginia, starting on Thursday afternoon with a Promoter Test Day. This unofficial practice day will kick off the weekend’s festivities as it often precedes Pirelli World Challenge events. 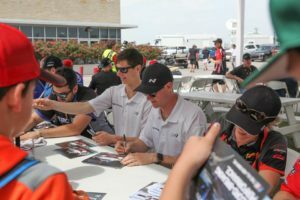 Michael, Mark and numerous PWC competitors will use the practice time to prepare for qualifying as well as the two races on Saturday, April 28, and Sunday, April 29. 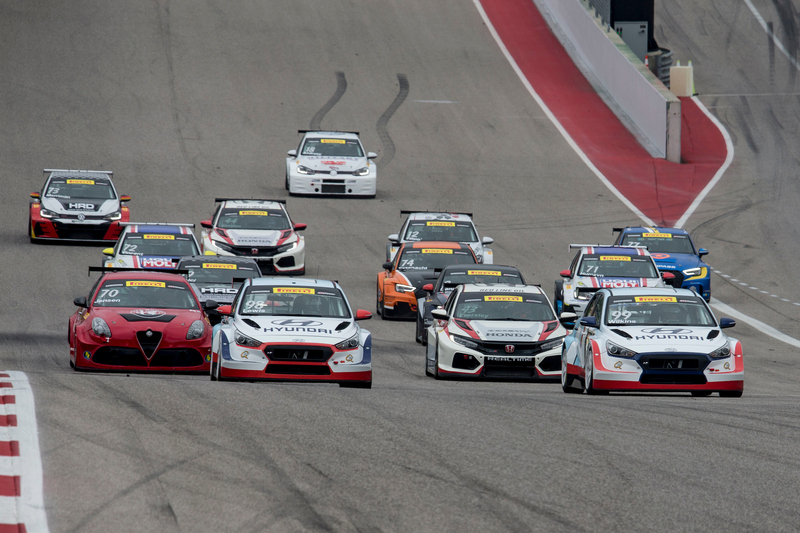 Following is the schedule for the TCR class at this weekend’s Grand Prix of Virginia. All times listed are Eastern Daylight Time (EDT). Fans attending the Grand Prix of Virginia this weekend at VIRginia International Raceway can get a personal autograph from Bryan Herta Autosport drivers Michael Lewis and Mark Wilkins on Saturday, at noon. Live timing and scoring during practice, qualifying and both races will be available at http://lt-us.tsl-timing.com/181706, while live video streaming of Rounds 3 and 4 will be available by visiting http://world-challenge.com/streamvideo/. 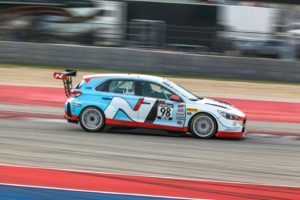 Rounds 3 and 4 of the TCR class in the Pirelli World Challenge are scheduled to take place on Saturday, April 28, and Sunday, April 29, with Michael Lewis at the wheel of the No. 98 Hyundai i30 N.
This entry was posted in News on April 25, 2018 .